"Yes, the accused fled from a country where virtual bullies push against science, knowledge and expertise and resort to conspiracy theories to find a scapegoat for all the problems because they know well that finding an enemy, spy or someone to blame is much easier than accepting responsibility and complicity in a problem". — Kaveh Madani, one of Iran's leading environmentalists, who recently fled to London. Despite its economic crisis, Iran continues to provide hundreds of millions of dollars every year to terrorists. " When you throw in the money provided to other terrorists, the total comes close to one billion dollars. Let's pause to consider that, because it bears repeating:The Iranian regime spends nearly a billion dollars a year just to support terrorism". — Nathan A. Sales, U.S. State Department Ambassador-at-Large and Coordinator for Counterterrorism. This impressive decline of the Iranian regime is being accompanied by petty and repressive laws. Iran recently handed down a sentence of 33 years in prison and 148 lashes to a prominent Iranian lawyer, Nasrin Sotoudeh, who dared to defend girls who were protesting Iran's forced veiling laws. In another recent incident, an Iranian couple were arrested after their public marriage proposal went viral on social media. The Islamic Republic of Iran today, through its terror proxies and puppet regimes, has been extending its hegemony to many capitals of the Middle East: Tehran, Baghdad, Damascus, Beirut, Sanaa. Iran continues to threaten the Middle East, the Mediterranean basin and potentially Europe. Forty years after its theocratic revolution in 1979, the mullahs speak (wishfully, one assumes) of a "declining" America. "America cannot manage its own affairs now", Ayatollah Ahmad Jannati, the secretary of the powerful Guardian Council, said on state television. "Millions of people are hungry there and America's power is in decline". Such declarations may be intended to hide Iran's own terrible decline, fleeing reality and crumbling from within. "Using GDP ranking as another metric of economic importance, in 1960, Iran was the world's 29th largest economy. Turkey ranked 13th and South Korea ranked 33nd. By 1977, Iran had climbed to 18th place, Turkey was 20th, and Korea 28th. In 2017, Iran was 27th, Turkey hovered around 18th, and Korea had by now become the 13th largest economy in the world." The average per capita GDP based on the Iranian currency's real purchasing power from 1976 to 2017 shows that since the revolution, the average Iranian became 30% poorer. "One country chose openness, democracy and innovation," tweeted U.S. Ambassador Carla Sands about the different paths taken by South Korea and Iran. "The other one didn't". According to Mohsen Delaviz of the Iran Fuel Conservation Company, "Iran with its 80 million population annually spends $45 billion for energy subsides, while this figure stands at $38 billion in China with population of 1.5 billion." Unfortunately, Europe has now chosen to appease Iran's regime rather than to increase pressure on it. That view possibly accounts for the absence of foreign ministers from major European powers, such as Germany and France, at the recent Warsaw meeting, called by the US and other allies to pressure Iran. A few days after the Warsaw meeting, German President Frank-Walter Steinmeier sent a shameful congratulatory telegram to Iran's leaders on the 40th anniversary of their revolution. "Even if the U.S. lifted sanctions, Iran would be hard-pressed to pump near 6 million barrels a day like it did just before the 1979 revolution. It produced less than half that amount -- 2.74 million a day -- in January, data compiled by Bloomberg show." "The economy is even worse than they let on," commented Alireza Nader, the CEO of New Iran, a research and advocacy organization in Washington, D.C. Yet despite its economic crisis, Iran continues to provide hundreds of millions of dollars every year to terrorists across the world. "Iran provides Hezbollah alone some $700 million a year", said Nathan A. Sales, the U.S. Ambassador-at-Large and Coordinator for Counterterrorism. "It gives another $100 million to various Palestinian terrorist groups. When you throw in the money provided to other terrorists, the total comes close to one billion dollars. Let's pause to consider that, because it bears repeating: The Iranian regime spends nearly a billion dollars a year just to support terrorism". Iran, however, does boast numerous records. According to Amnesty International, "more than half (51%) of all recorded executions in 2017 were carried out in Iran". In relation to its population, Iran holds the world record for executions per capita. There was an increase of 333% in prisoners between 1985 and 2017 in Iran. The newly appointed head of the Islamic Republic's judiciary, Ebrahim Raisi, "was involved in mass executions of political prisoners," according to U.S. State Department Deputy Spokesperson. "In 2013, the former head of Iran's environmental protection agency reported that 85 percent of the country's groundwater was gone, while the population had doubled in the last 40 years." That unpleasant truth may well be why environmental experts are treated as a "security threat" by the Iranian regime. When some scientists tried to identify the problems and offer the solutions, Iranian security forces arrested them. According to the Center for Human Rights in Iran, 40 of these experts were arrested in just one month. "One in 4 of Iran's most educated citizens leave their country when given the opportunity... Iran has one of the highest rates of citizens leaving their homeland — an estimated 5 million Iranians have left the country since the 1979 Islamic Revolution." "According to the International Monetary fund (IMF), which surveyed 91 countries, Iran has the highest rate of brain drain in the world: every year, 150,000 educated Iranians leave their home country..."
"Yes, the accused fled from a country where virtual bullies push against science, knowledge and expertise and resort to conspiracy theories to find a scapegoat for all the problems, because they know well that finding an enemy, spy or someone to blame is much easier than accepting responsibility and complicity in a problem." World Bank figures put Iran's youth unemployment at about 30% for 2018. 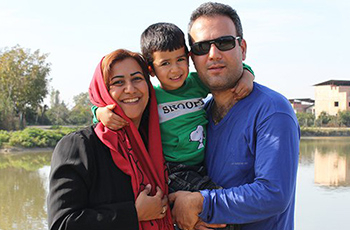 Iran's youths are fleeing abroad as the regime is fleeing from reality and the Iranian clerics are getting wealthier. Iran's supreme leader, Ayatollah Ali Khamenei, controls an empire worth $95 billion, according to a Reuters investigation. As in the Soviet Union, the Iranian government's budget reportedly comprises 80% of the gross national product. U.S. News & World Report wrote that Iran is ranked third-most corrupt country (by perception) in the world, after Iraq and Pakistan. The American economist and news analyst David Goldman has compared Iran to the former Soviet Union. From the 1968 Soviet invasion of Czechoslovakia through their invasion of Afghanistan in the 1970s, the Soviet leadership began to act aggressively in foreign policy, as if they understood it was a last chance to push for power in what was clearly an economic and demographic meltdown -- just as Iranian mullahs are doing now. "In one generation, Iran registered one of the most rapid fertility declines ever recorded in human history," said Nicholas Eberstadt, a political economist at the American Enterprise Institute in Washington, who conducts demographic research. It took Europe 300 years to record a similar drop, he said. "I'm sceptical that this trend can be reversed," Eberstadt said. Karim Sadjadpour, of the Carnegie Endowment for International Peace, describes "the essence of Islamist rule in Iran" as: "Dogmatic septuagenarian clerics forcing their own antiquated views on a young, diverse society... It can only be sustained through coercion". This impressive decline of the Iranian regime is being accompanied by petty, grotesque and repressive laws. Last month, dog-walking was reportedly banned from public places in Tehran. Previously, the Iranian regime censored even using the word "wine" and the names of "foreign animals" from books published in the Islamic Republic. The Iranian regime, after 1979, tried to control what people could read. 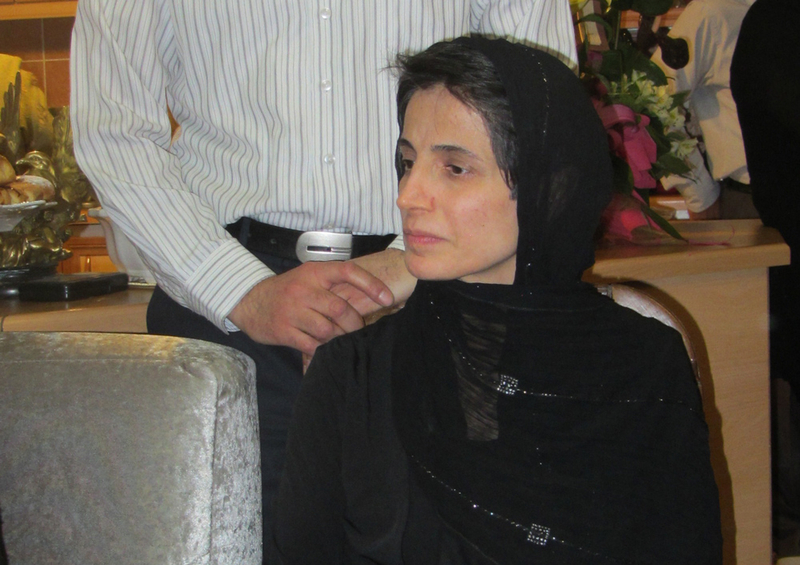 Iran recently handed down a sentence of 33 years in prison and 148 lashes to a prominent Iranian lawyer, Nasrin Sotoudeh, who dared to defend girls who were protesting Iran's forced veiling laws. In another recent incident, an Iranian couple were arrested after their public marriage proposal went viral on social media.